Artificial intelligence promises to change how things are done across the whole economy. Worldwide, AI is poised to provide more opportunities – and provoke more disruption – than anything since the Industrial Revolution. Some disciplines are seen as “AI-proof.” That is, they have such complex and subjective inputs that they can’t be performed by the most complex AI today. But the structure of digital marketing makes it uniquely adaptable to AI. In fact, most of today’s best marketing automation tools use AI. Predict which leads are likely to become customers and when to follow up with them. Develop customized content tailored to the available data about each website visitor. Optimize their approach to advertising and distributing multi-channel communications. Those things are impressive on their own merits, and they’ve already saved countless thousands of hours that would otherwise be wasted in tedious, error-prone tasks. But AI is continuing to evolve, and its capabilities will soon empower the human workforce like never before. 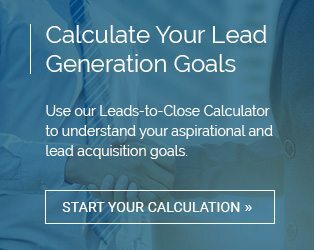 Lead qualification is an intensive, long-term process. Although some of it can be done through progressive profiling on your website, it truly flourishes when a real conversation starts with your lead. AI will soon be able to carry on many of these conversations all on their own, whether on your website or over email, and transfer them to qualified human reps when necessary. The best AI has an advantage over many human customer services reps, too. Instead of having to look up data on your Customer Relationship Management suite, AI can interface seamlessly with those systems, continuing or elaborating upon past interactions as necessary. Immediate issues can be resolved with virtually no wait time, so your customer gets back to his or her day. B2B marketers and sales professionals work together for cross selling and upselling because it’s easier to deepen an existing customer relationship than to create a new one. AI captures usage patterns that are invisible to even the most talented human analyst, zeroing in on opportunities to add value with ultra-accurate rationalization and complete knowledge of the product catalog. Look out, Shakespeare – and writers in general. Recent AI news shows that AI-driven writers are remarkably close to composing human-caliber content on simple subjects. It’ll be a while before they reproduce Chaucer, but they are already capable of building custom content from mid-sized “building blocks” that can generate custom reports and other bottom-funnel B2B content. AI is coming up fast. To prepare for tomorrow, get acquainted with the AI tools available in your martech stack today. They’re already convenient, flexible, and powerful.